Adriatico 36 – Luxurious and modernly furnished 2nd floor apartment with a large private terrace overlooking the communal swimming pool. Very close to the Bar, Restaurant, Supermarket and Pro Shop. 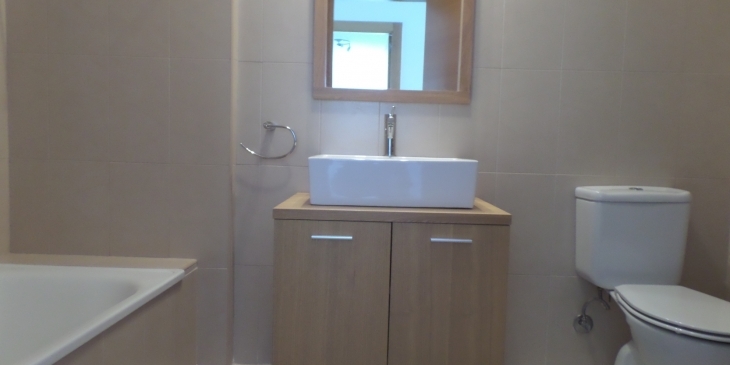 Air-Conditioning, central heating, 2 bedrooms, 1 bathroom. 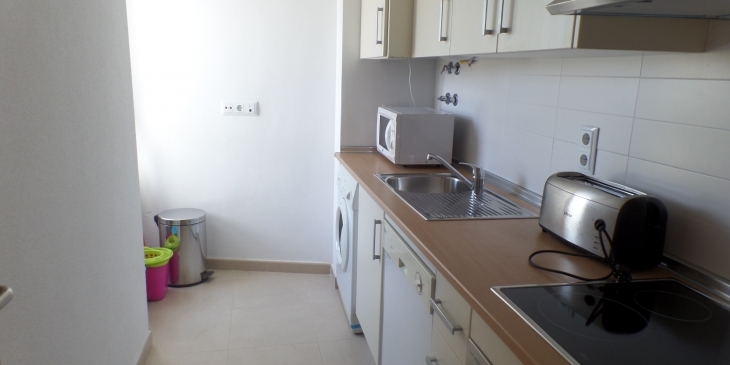 tv, internet, wifi, kitchen with refrigerator, oven and hob, washing machine dish washer, kettle, etc. Stunning view over the communal swimming pool. Very close proximity to the Bars, Restaurants, Supermarket and Golf pro shop. On Hacienda Riquelme you will find a supermarket, two bars, restaurant, golf shop, tennis courts, children’s play areas and of course the fabulous Nicklaus designed 18 hole golf course. In the village of Sucina just 3 minute drive away from Hacienda Riquelme there is a nice atmosphere where you will find many restaurants of different styles. Only 15 minutes drive to the many blue flag beaches. The shopping area, La Zenia Boulevard is just a 20 minute drive where you find everything you want and more.